DC Comics celebrated Batman in a big way at this year’s WonderCon, the sibling convention to San Diego International Comic-Con. 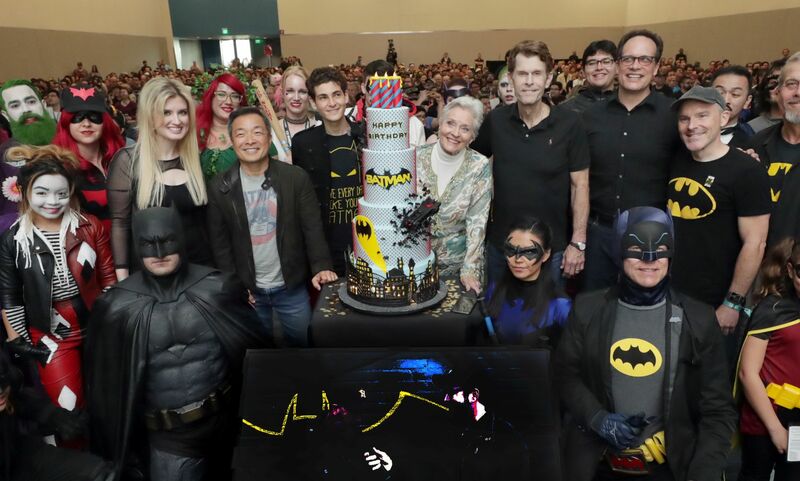 With the milestone release of the 1,000th issue of Detective comics on March 27 and the 80-year anniversary of one of (if not the) most well-known characters in comics, it was a perfect time to party with the bat. 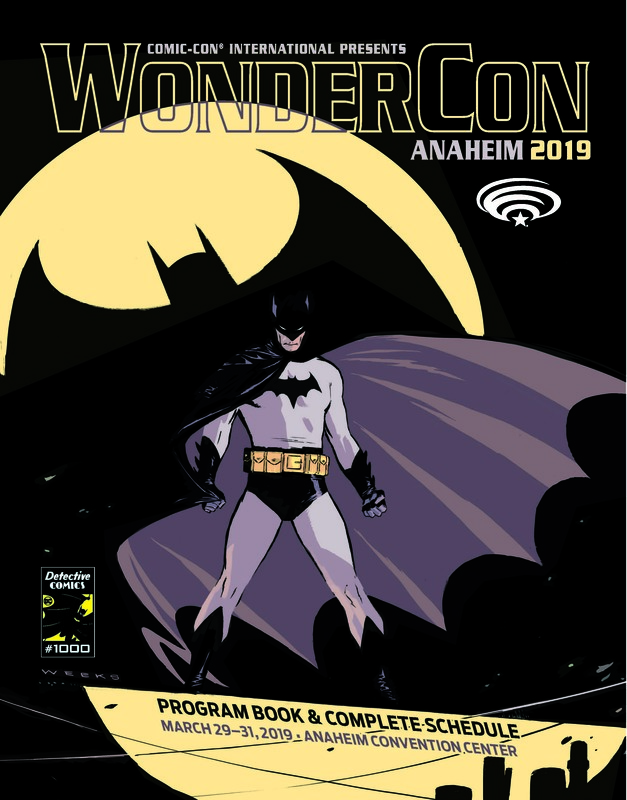 The WonderCon program guide and every single RFID badge scanner prominently featured the Bat. There were no questions as to which character was being celebrated. So of course, DC Comics had several panels to explore the impact Batman has had on creators and fans alike. The Caped Crusader was featured in a panel every single day of the show. 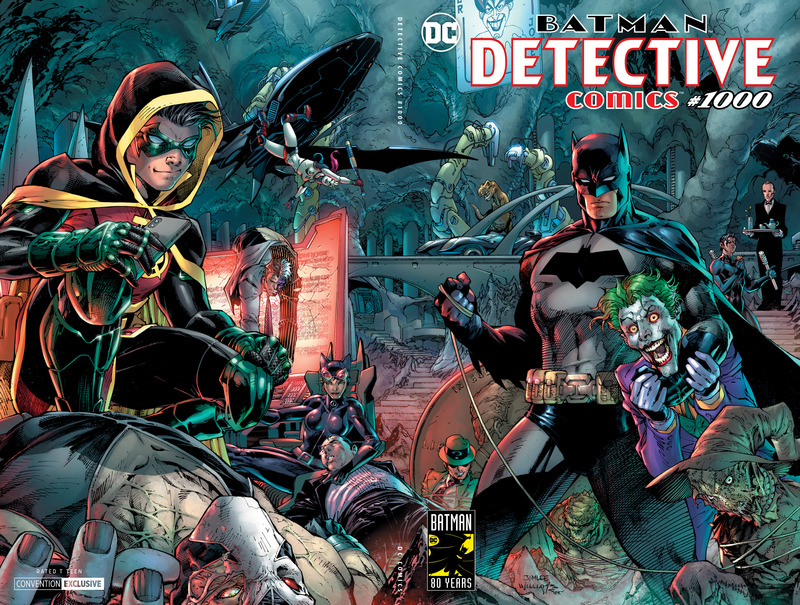 Things kicked off on Friday with DC CELEBRATES 80 YEARS OF BATMAN. To celebrate Batman’s iconic status ever since his debut in Detective Comics, Sam Humphries (HARLEY QUINN) moderated a panel of industry talent as they discuss the World’s Greatest Detective. Joëlle Jones (CATWOMAN), best-selling Batman creative team Scott Snyder & Greg Capullo (BATMAN: THE LAST KNIGHT ON EARTH), Tom King (BATMAN), Becky Cloonan (DETECTIVE COMICS #1000) and Peter J. Tomasi (DETECTIVE COMICS) discussed their personal introductions to the character, the reason for Batman’s lasting appeal, and more. Scott Snyder gave fans some insight into a story he’s been mentioning at conventions for several years. Last Knight on Earth will be available at the end of May. But we now know it’s a story that begins with Bruce Wayne in Arkham Asylum. And he’s been there for 15-20 years creating the delusion of Batman based on things in the Asylum. He then breaks out and finds himself in a desert with a homemade Batman costume (comprised of glass from broken windows and the belts of Asylum guards among other things). In this desert, he finds a dusty lamp. When he blows the dust off, it is Joker’s head which comes alive and talks of speed force storms and more. It sounds like a great book and a must-read from the Black Label! Another highlight of the panel was hearing who, from the Batman Rogues Gallery, each panelist would want to take to dinner. Greg Capullo, after confirming the outing is dinner AND drinks, definitively said Catwoman. Scott Snyder mentioned he’d risk death to talk to the Joker, but also acknowledge dinner with the Riddler would be fascinating. Joelle Jones picked the Penguin, just because she’d love a nice seafood dinner. DC will honor #LongLiveTheBat throughout 2019 from now until Batman Day on September 21. Conceived by artist Bob Kane with writer Bill Finger, Batman is humanity’s timeless hero. And he’s just getting started. More details on the global celebration will be released in the coming months.